I'm on a mission for you. 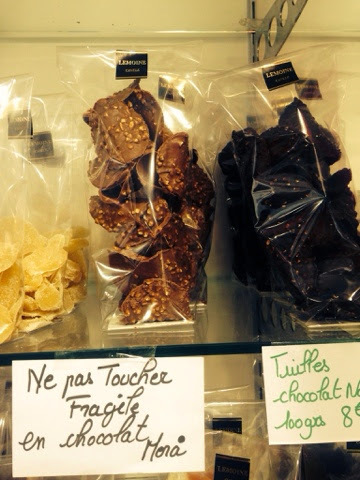 To find the best sweets and pastries in Paris and tell you all about it. The downside is, I gave up sugar. And how long did that last? One and a half days of pure abstinence. 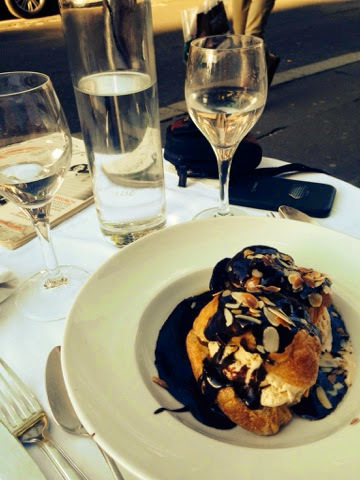 Basically, after Eataly, which means a gelato a day keeps the doctor away, I thought, things have got to come to a halt. So I announced to everyone that would listen, that Sugar was off the menu, things weren't right at all, I can't go on like this, everythings really dramatic, I need to quit sugar cold turkey. That's it, sugar and I aren't friends. We're over. O-ver. you want to.. " just to be picked up and dropped back down as my colleague and so-called friend said "oh Abi it's the weekend" and I yelled "wheres the moral support!" In Paris, it's all about the big patisserie names. It's like you're never anything until your cakes are as small and as complicated as possible. Which sometimes is great and sometimes a little annoying. On this occasion, great. 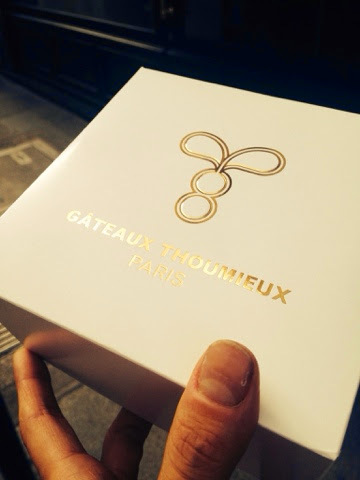 I was on a mission to discover "gateaux Thoumieux" a new little patisserie started by Jean- Francois Piege, a gastronomic leader of French cuisine and patisserie. 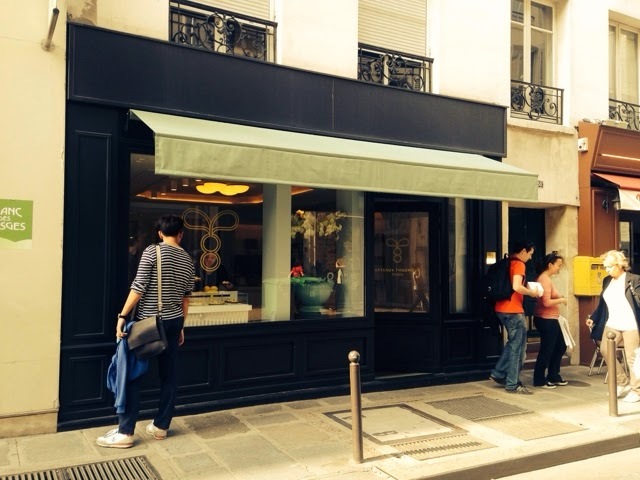 He opened up a boutique in rue Saint Dominique. And fell straight in love with that road. 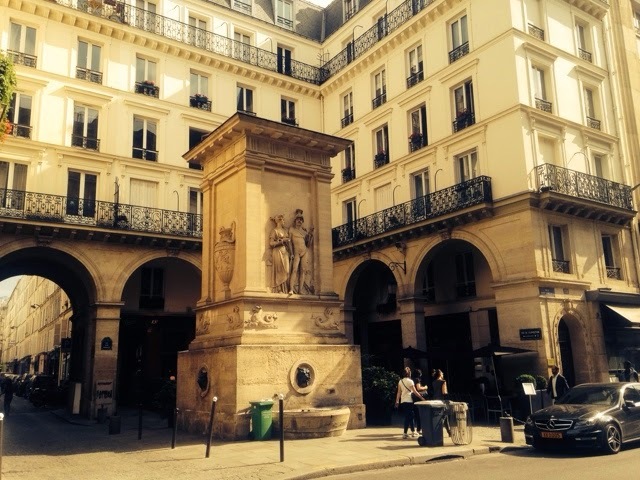 I couldn't believe I'd never been here, it was everything you always imagine Paris to be; little cafes, little flower shops, little boulangeries, little boucheries, little fromageries and people sitting outside in the sun enjoying the moment. So, so nice. 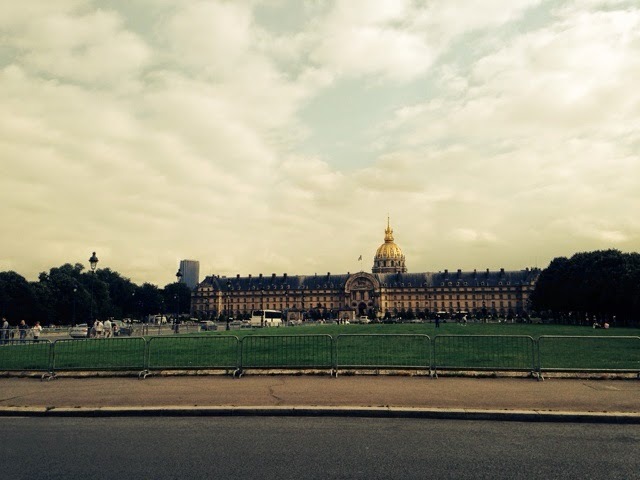 Photos were taken.. And it looked almost like Rome. Almost. Which made me even happier. 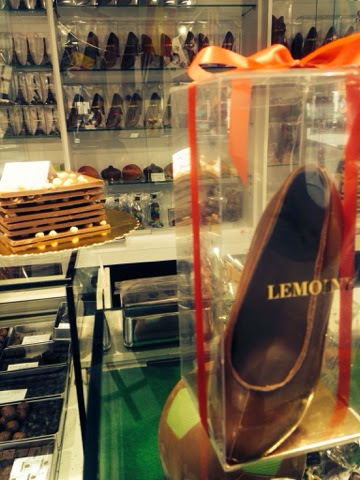 shop called "Lemoine" I nipped my head in, only to find that the sales lady is a lady I've worked with before at the patisserie I'm currently at. So I went in and she was oh so happy to see me, telling me that she'd been wondering where I'd been and started feeding me loads of sugar. So, the sugar free plan came to an end obviously. 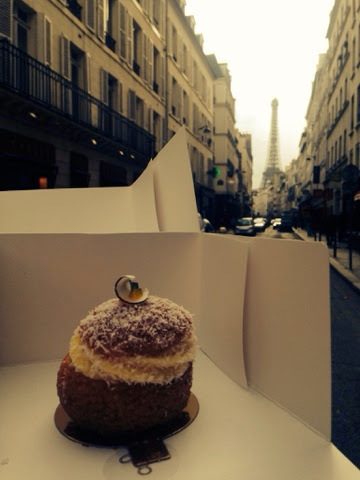 I tasted the best macaron I've had in Paris and a speciality from the house, a "canelé". 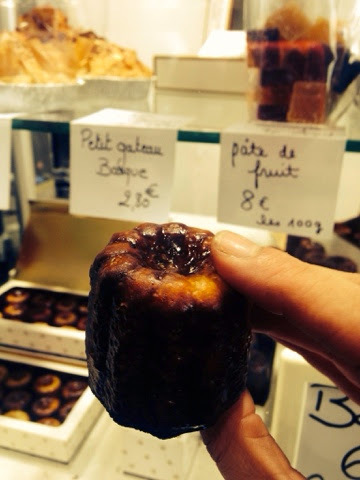 Canelé is a speciality from Bordeaux region. 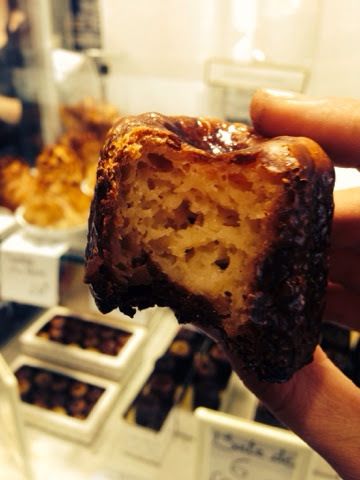 A canelé has a thick caramelised crust and a super soft custard centre. 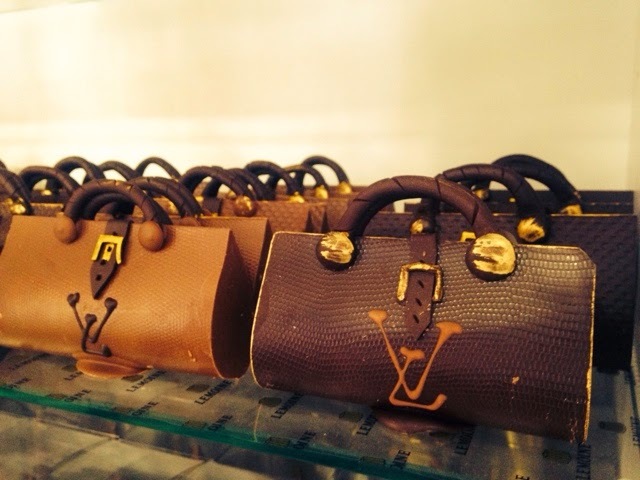 Oh, and they make Louis Vuitton bags out of chocolate. Just saying. The patisserie was beautiful, everything arranged delicately but not overly elaborate so you could see that the pastries and the food was still at the centre. The pain au chocolat and croissants were displayed in rectangular baskets on the wall and I found that a really nice touch. 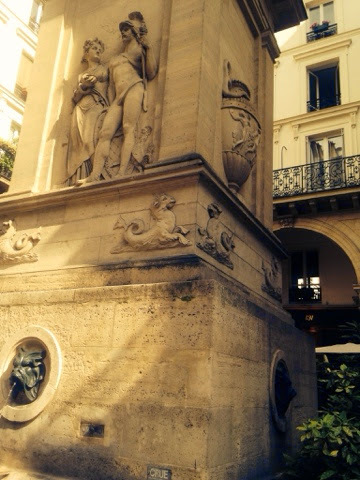 The sales lady was helpful and nice, which is very rare in Paris. I bought a mini coconut and passion fruit "chou". 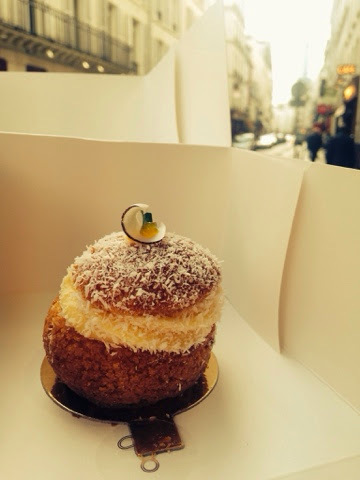 Inside was a light coconut cream with a passionfruit confit. It made the "chou" lightly acidic but incredibly refreshing. 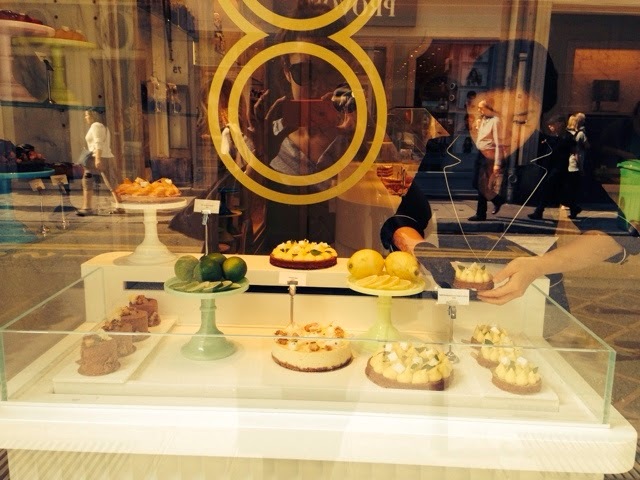 You could taste the delicacy and care taken to make this patisserie, the cream was fresh and the chou had all the right note of sweet and acidity. 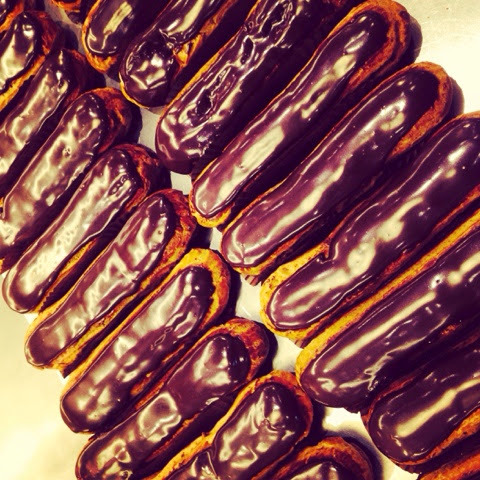 Posted on July 21, 2014 by Abigail Scheuer- Sarne and filed under paris and tagged pastrylife inspiration2 pastry.